Today Armenia celebrates two major book related events. The proclamation of Yerevan as the 2012 World Book Capital by UNESCO and the 500th anniversary of Armenian book printing. Armenia has a rich writing tradition which is considered as one of major factors behind the survival of the Armenian people. Despite centuries of prosecution by numerous invading empires, Armenians managed to preserve their language, religion and culture, all thanks to this exceptional love for literature. Today the ancient manuscript repository (Matenadaran) located in Yerevan, holds one of the world’s richest depositories of medieval manuscripts and books which span a broad range of subjects, including history, philosophy, medicine, literature, art history and cosmography in Armenian and many other languages. Although much has been destroyed (e.g., over 10,000 manuscripts were burned by Seljuk Turks in 1070 after a 40-year siege of Kapan), over 30.000 have survived and are preserved until today. The city of Yerevan was chosen for the quality and variety of its programme, which is “very detailed, realistic and rooted in the social fabric of the city, focused on the universal and involving all the stakeholders involved in the book industry”, according to the members of the selection committee. “I congratulate the city of Yerevan, which has presented a particularly interesting programme with many different themes, including the freedom of expression, as well as several activities for children, who will be the readers and authors of tomorrow”, said Irina Bokova, Director-General of UNESCO. “Mobilizing the entire world of books and reading, from authors to printers and publishers, will undoubtedly help to make the Yerevan programme a major success, with a sustainable impact,” she added. The schedule of events for Yerevan World Book Capital 2012 places a special emphasis on children and young adults as carriers of knowledge into the future. Many programs will be organized to help instill the love of reading, reciting, writing and even learning how to publish and print books for children. Events such as, “Give us Books, Wings to Fly”, “I Am Creating a Book”, “Returning Books Back to Children” and “Colorful Books”, will be geared to reach this objective. Conferences, symposiums and exhibitions will discuss issues related to copyright, translation, freedom of speech, genocide and internationally renowned works of literature. Special events will be organized for libraries and librarians, who continue to be mediators between writers and readers. These programs will allow an exchange of knowledge and information and become the conduits for change in an ever-changing and fast-paced world. Books written about cinema, music and other art forms will be highlighted through exhibitions, seminars and film premiers. Creating bridges of new technologies, ideas and innovations will be the main rallying points. 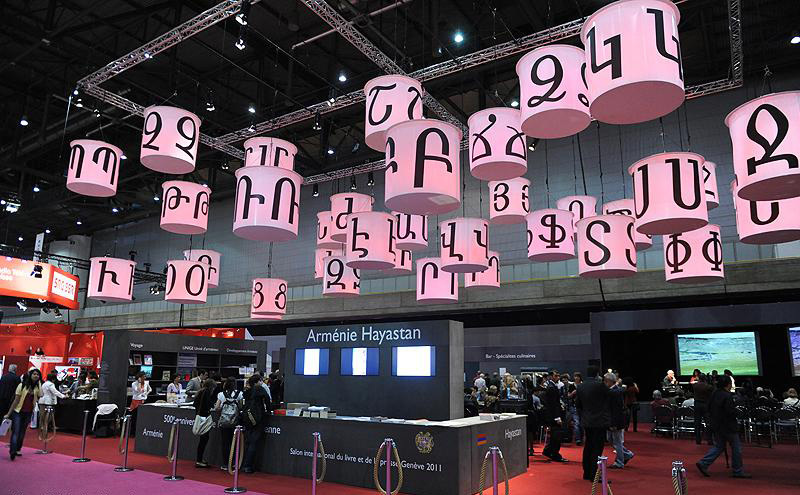 After 70 years of Soviet rule, when even literature was legislated, Yerevan World Book Capital 2012 will mark a turning point for Armenia and the region in general. It will bring together writers, journalists, publishers, librarians, booksellers and lovers of books from all over the world in a location where there is a thirst for knowledge and information. 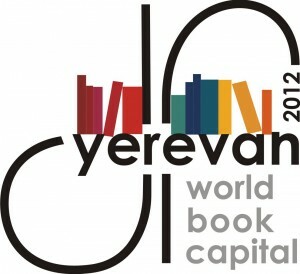 In cooperation with international partners, Yerevan World Book Capital 2012 promises to turn a new page in our book history.